The raceways of these angular-contact ball bearings have high and low shoulders. The high shoulders of the inner and outer raceways oppose each other, which directs axial, or thrust loads (where the load is parallel to the shaft) through the bearing in one direction. 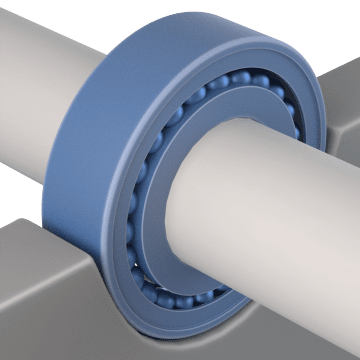 Double-row bearings act like a pair of back-to-back single-row bearings, and can support axial loads in two directions. 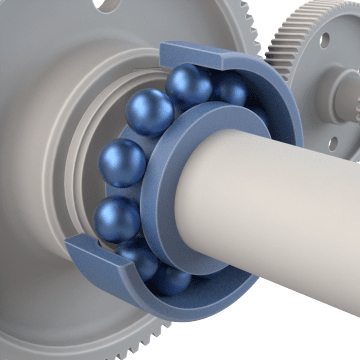 Angular-contact ball bearings are recommended for applications with moderate to high radial loads (where the load is perpendicular to the shaft) and low to moderate axial loads. These single-row bearings are suitable for most common applications in which the thrust load is in only one direction. Use these bearings for applications that can have axial loads in two directions and high temperatures, such as transmissions, hydraulic pumps, and air compressors. They come prelubricated with high-temperature grease. 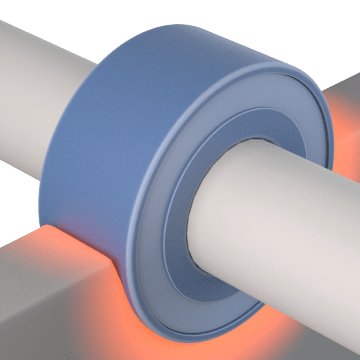 Suitable for applications such as centrifuges and industrial pumps, these bearings are manufactured to an ABEC-3 rating for higher precision than general-purpose bearings. 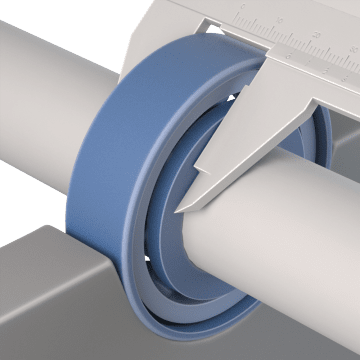 Designed for use in ball screw support units, these bearings are manufactured to an ABEC-7 rating and have a higher precision rating than the high-precision bearings. Manufactured to an ABEC-7 rating, these beatings have a higher precision rating than the high-precision bearings and are designed for applications such as gear reducers, electric motors, and centrifugal pumps.